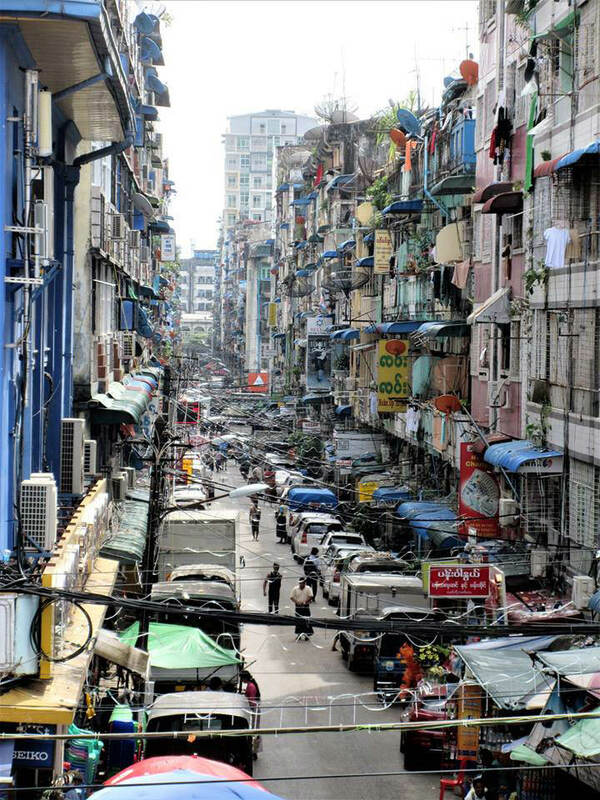 A couple of days ago we arrived in Yangon, Myanmar, where they speak Burmese. Or we landed in Burma where they speak Myanmar, I am not sure, it seems to depend on who you ask and what time of day it is when you ask. 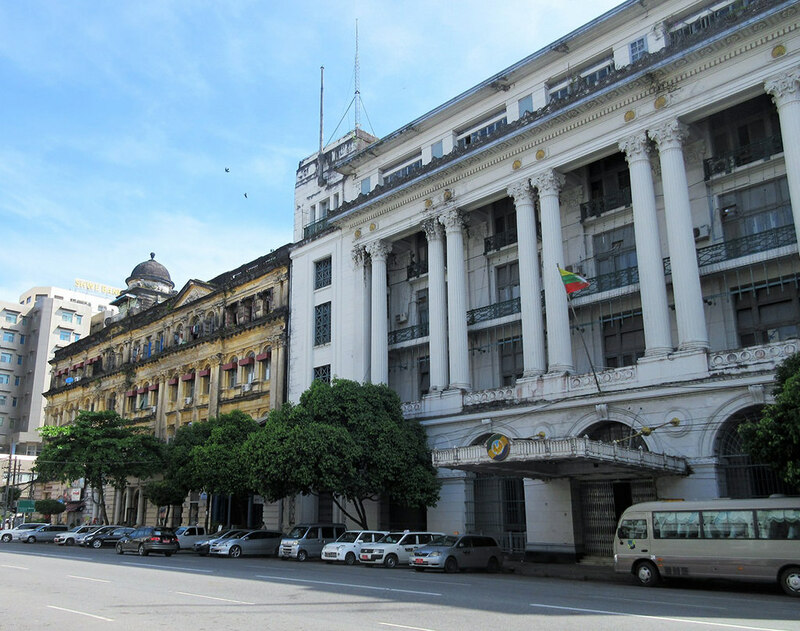 Yangon (formerly Rangoon) is filled with many colonial buildings that have fallen into disrepair, and more modern buildings that also need some TLC. 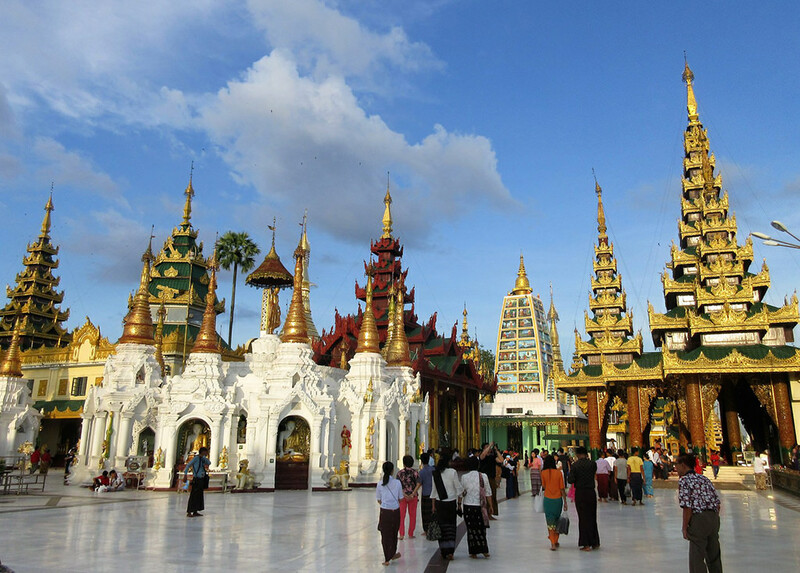 It does have an extraordinary site, the Shwedagon Pagoda. 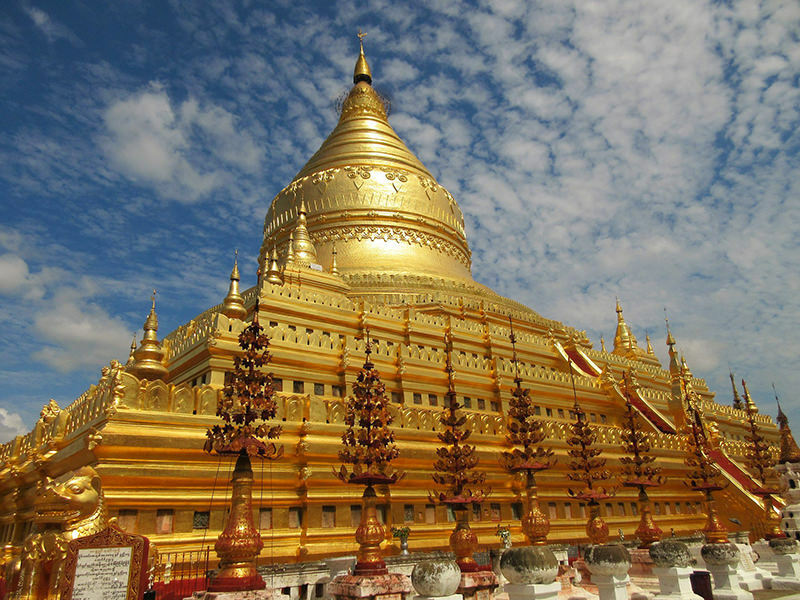 It is the most sacred Buddhist pagoda in the country, and it is truly amazing. The giant gold primary stupa (said to hold some hairs from the Buddha’s head) is surrounded by countless smaller stupas and large pavilions. Thousands of Buddha statues can be found there. 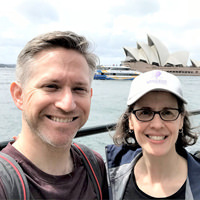 In addition to being a religious site and a tourist attraction, the site is a meeting place for locals not dissimilar to Central Park in NYC. 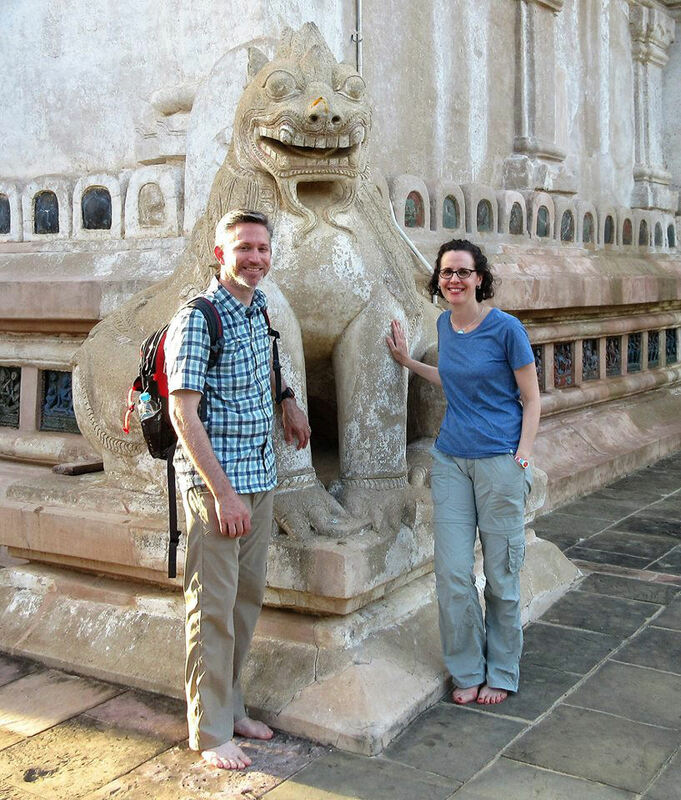 A short 1 hour flight from Yangon brought us to Bagan, the land of temples. Everywhere you look, you see temples scattered across the landscape, most dating back to the 11th century. It’s astounding! Despite the requirement to walk barefoot around all these temples (which we don’t adore), the people of Myanmar are very friendly. A smile and an attempt at hello/thank you in Burmese, goes a long way. We’re quite popular here for our pasty skin and a handful of locals have even asked to take their picture with us. 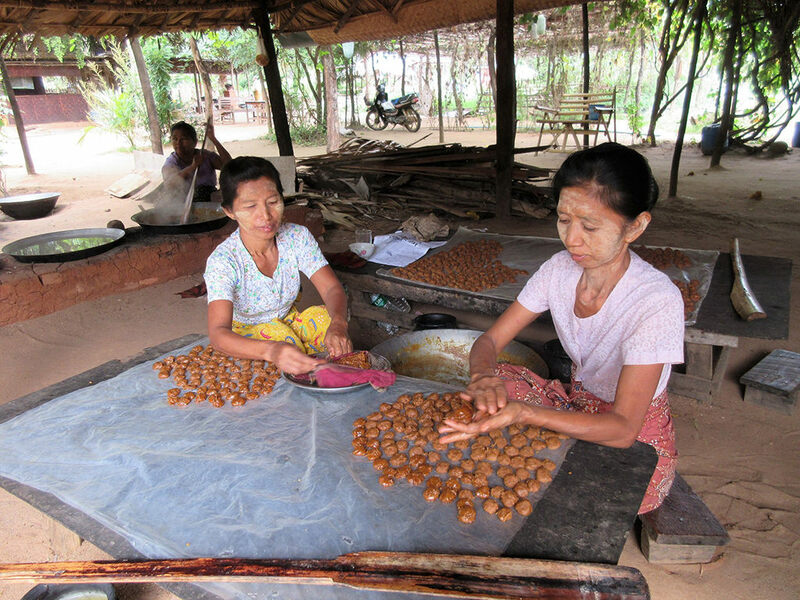 One cultural note, many women and children wear a paste called “thanaka” on their face. It is derived from the bark of a tree and is used as sunblock, perfume, decoration and as a skin care product. Susan has stuck to sunblock. 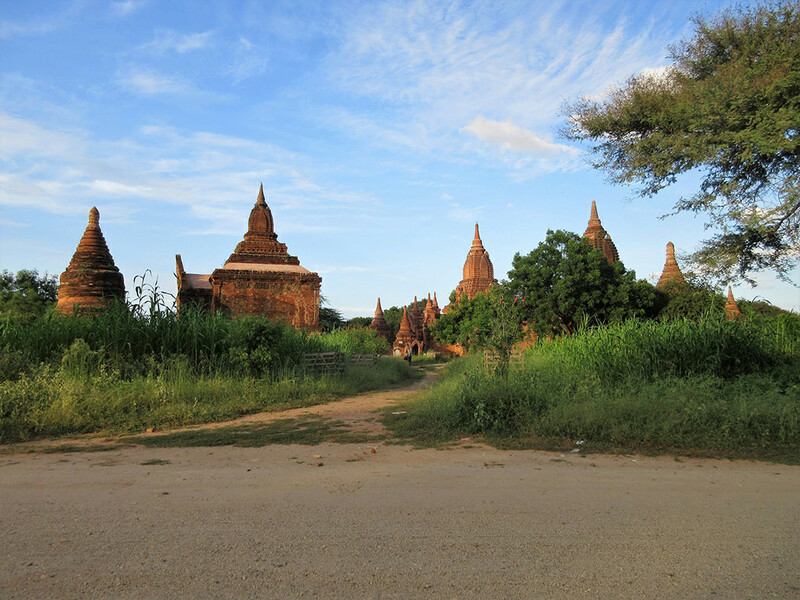 We went exploring on our own around Old Bagan and came across a local match of Sepak Takraw. Basically it is volleyball without using your hands. The spikes are amazing. Look up “foot volleyball” on YouTube and you’ll see what we’re talking about.